Compare electric toothbrushes from ALDI Dentitex, Colgate, Oral-B and Philips on their performance, reliability, ease of use, cost of accessories, value for money and overall customer satisfaction. 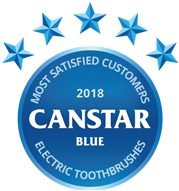 In Canstar Blue’s inaugural review of electric toothbrushes, Oral-B has cleaned up, rated five stars for performance, reliability & overall customer satisfaction in 2017. Oral-B leads the way from Colgate and ALDI Dentitex in the ratings. Brushing your teeth is not only good for your oral hygiene, but also your confidence. How you go about scrubbing those pearly whites can impact how brightly you smile, and how good you feel about yourself. As with many other appliances in the 21st century, the humble toothbrush has undergone a technological upgrade, with a wide variety of electric toothbrushes now readily available to purchase. So, getting a great clean time after time has never been easier. 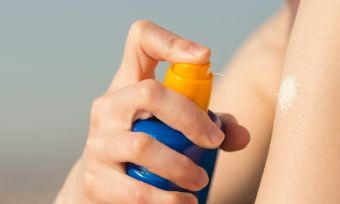 But with so many options available – and each claiming the best clean – consumers may not be left smiling as the decision process can prove greater than first expected. So, to help narrow down the search for your next electric toothbrush, Canstar Blue surveyed nearly 1,000 Australian adults to find out which brand is scrubbing up best in Australia. Brands were rated on factors including performance, reliability, ease of use and value for money. But most important of all, is ‘overall’ customer satisfaction. Oral-B tops the ratings for the second year in a row, scoring five stars for overall customer satisfaction, in addition to performance, reliability and ease of use. Big-name rivals Philips and Colgate both earned four stars overall, with budget brand ALDI Dentitex in last place on three stars. Read on as we explain some of the basics of electric toothbrushes, before looking at what the four brands in our review have to offer. Traditional electric toothbrushes have rotating brush heads but they don’t rotate in complete circles. They make partial rotations back and forth, so you can get that scrubbing motion at a speed far faster than the human hand can accomplish using a manual toothbrush. ‘Sonic toothbrushes’ vibrate faster and differently. The whole head vibrates rather than just the top part of the brush. And according to manufacturers, the faster vibration speed when combined with lots of fluid around the mouth forms tiny bubbles between the toothbrush and the teeth, to better shift plaque. How often should you change your toothbrush head? One of the biggest ongoing expenses of an electric toothbrush is replacing the brush heads, which can set you back between $10 and $20 depending on brand, pack size and retailer. But just how often should you be replacing the head of your toothbrush? Toothbrush manufacturers Philips, Colgate and Oral-B – in addition to the American Dental Association – recommend that toothbrush heads (as well as manual toothbrushes) be replaced every three months, or when the bristles begin to fray. Oral-B also highlights that it’s best to change the head if you have recently come down with an illness, as the bacteria may still be present on the bristles. When asked how often they change their brush heads, 34% of Canstar Blue survey respondents said they changed at least once a month or more frequently. 42% change every few months, while 5% were leaving it for a year or longer, meaning they’re probably not getting the most out of their toothbrush. Why do people use electric toothbrushes? Nearly half (47%) of respondents to our 2018 survey said that their main reason for using electric toothbrushes is for a superior clean. About one in four (27%) said they were advised by a dental professional to use an electric toothbrush, while 22% were simply curious to try. So, do electric toothbrushes really deliver healthier cleaning results? Your specific dental advice could vary, but the Australian Society of Orthodontists says you’re not missing out by only using a manual toothbrush, assuming good brushing technique. 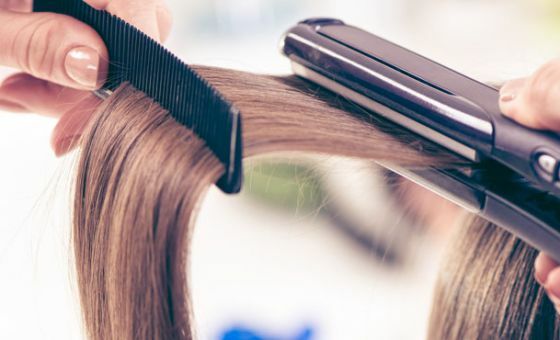 Electric brushes can, however, make brushing a lot easier, and perhaps more pleasant, which is why many choose to go electric. But with a little effort you can achieve the same results with a manual toothbrush. Our survey results suggest that – of those who do choose to buy electric – they’re quite happy with their choice and intend to stick with it. Almost nine out of ten survey respondents (87%) stated that they would recommend an electric toothbrush to a friend, while 60% were in agreement that they’ll never go back to a normal toothbrush. To help you decide which electric toothbrush might be the best for your brushing preferences and budget, here is an overview of the brands in this year’s review. One of the most recognisable brands in the dental industry, Oral-B offers plenty of products for all parts of your mouth, including whitening strips, toothpaste, and floss. Its electric toothbrush range is one of the largest around, helping consumers to find one to suit their needs and budget. The top of the line ‘Genius 9000’ model includes features such as position detection for optimal cleaning, pressure control for a softer feel, as well as six brushing modes for all areas of your mouth. Other models include the SmartSeries, Vitality Plus, Professional Care and Stages for young children, each including features like timers, travel cases, and even Bluetooth connectivity. Readily available at retailers and pharmacies, Oral-B’s electric toothbrushes will set you back between $50 and $400 depending on the retailer and model. The only brand to achieve five stars for performance and overall satisfaction, Oral-B additionally scored a five-star rating for both reliability and ease of use, while getting four stars for value for money, and a three-star rating for the cost of accessories. A Dutch brand with appliances for all rooms of the house, Philips offers a number of electric toothbrushes for Aussies to pick from, including the modestly-named DiamondClean, FlexCare, ProtectiveClean, Healthy White, EasyClean, Elite +, and Sonicare for Kids. The ‘DiamondClean’ Smart electric toothbrush even comes with a Bluetooth-compatible app, giving you real-time feedback on your brushing technique for an optimal clean, as well as a notice on any areas that you may have missed with the Location Sensor. It includes a variety of settings, including gum and tongue care, and whitening for a total mouth clean. Other features available within the range include Polish mode, a charging glass, travel cases, and reminder to let you know when it’s time to replace your brush heads. While it may be one of the most expensive brands on the market – with the top of the line models setting you back close to $500 – the Philips Sonicare range also includes more affordable models for under $100, for those looking to stick to a budget. Rated five stars for both reliability and ease of use, Philips scored four stars for performance, cost of accessories and overall satisfaction, but scored a three-star rating for value for money. Another heavyweight of the dental care industry, Colgate is one of the more affordable ranges within the market, with the majority of its electric toothbrushes costing between $100 and $200. Colgate’s flagship model, the ProClinical, makes up the bulk of its range, and is available in a number of varieties, each with additional features and functions. These features include a charge indicator, a timer to ensure you’re meeting the 2-minute recommended brushing time, plus multiple cleaning functions for each part of your mouth. The top of the line ProClinical models include smart sensors which change the speed of the toothbrush, as well as the option to revert to manual mode if you’re feeling old-school. Rated four stars for overall satisfaction, performance, reliability and ease of use, Colgate was also rated three stars for value for money and the cost of accessories. ALDI has a habit of disrupting markets with bargain appliances that turn out to be strong competitors in their own right against usually more established brands. The ALDI Dentitex electric toothbrush range is a case in point. Unfortunately, it’s not always stocked in stores as it is part of the ALDI Special Buys cycle – so you’ll need to keep a close eye out for when it returns to shelves and stock up with replacement heads. ALDI offers two types of electric toothbrushes – the traditional rechargeable kind that plugs into the wall outlet for charging, and AAA battery powered sonic toothbrushes, including toothbrushes for kids. The only brand to score five stars on value for money and the cost of accessories, ALDI was rated three stars in all remaining categories, including performance and overall satisfaction. Which electric toothbrush should you go with? Our research found performance and reliability to be the biggest drivers of customer satisfaction, so it’s worth keeping this in mind when you go shopping. 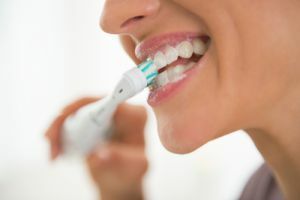 Any electric toothbrush should be up to the basic job of keeping your teeth and gums healthy, but if you’ve ever experienced an electric toothbrush that won’t work properly in the morning – or generally just disappoints – then you’ll appreciate that spending a little extra on a top of the range toothbrush may be worth it in the long run. Remember, you only get one set of adult teeth – so take good care of them! Whether you buy an electric toothbrush or prefer to keep it manual, the key to dental hygiene is regular and thorough brushing. Canstar Blue surveyed 3,112 Australian adults across a range of categories to measure and track customer satisfaction, via ISO 26362 accredited research panels managed by Qualtrics. The outcomes reported are the results from customers within the survey group who have purchased an electric toothbrush in the last 3 years – in this case, 955 people. 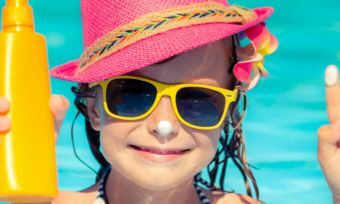 Slip, slop and slap your way to beautiful skin this summer with Canstar Blue’s pick of water resistant sunscreens. 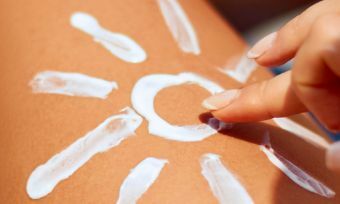 Zinc oxide is a physical filter that reflects UV rays. Read Canstar Blue’s guide for a list of brands that offer zinc-based formulas.